The Glasshouse Mountains are close to Brisbane and consist of a series of peaks that erupt from a fairly flat landscape. Each of the mountains provides excellent views to the surrounding countryside. Before heading up any of the peaks it is worthwhile dropping into the visitor centre for trail information and then taking a short drive up to the lookout to get an idea of the terrain. There are a number of trails, some almost scrambling rather than walking with each providing a different degree of difficulty as well as time requirement. The track begins in tall open forest with a dense fern understory. The trail head signage provides good information on the walk and surrounding area. 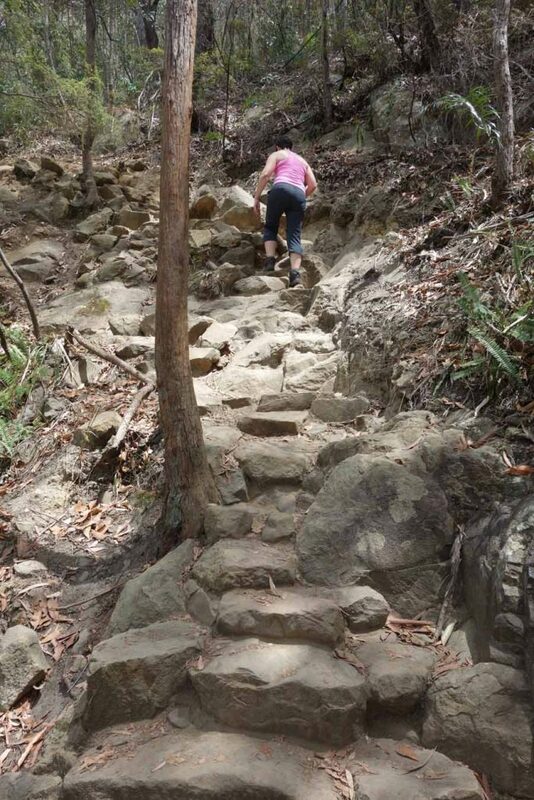 The pathway is well formed for most of the track with some sections of steep stairways as well as some rock hopping at the summit. The track passes close to cliff edges particularly at the summit where there is a high level of exposure so please pay attention as you walk and take care if you have children with you. 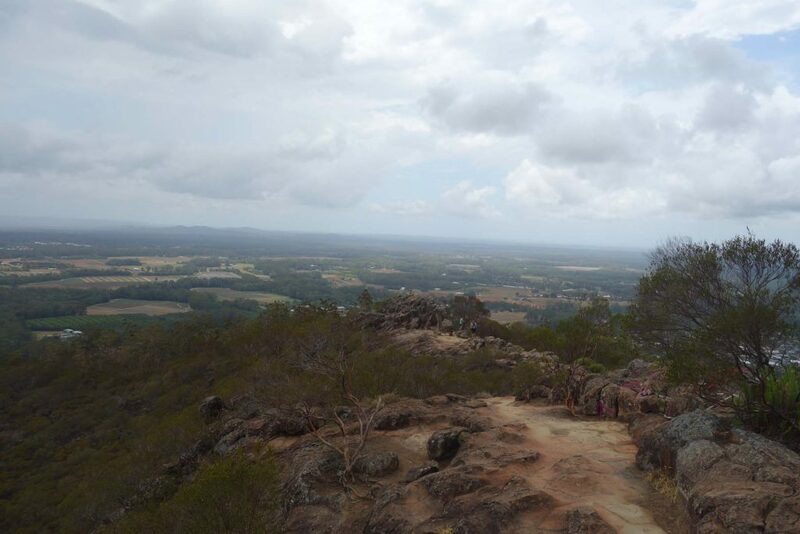 The summit provides spectacular views of the nearby mountains as well as the surrounding countryside. 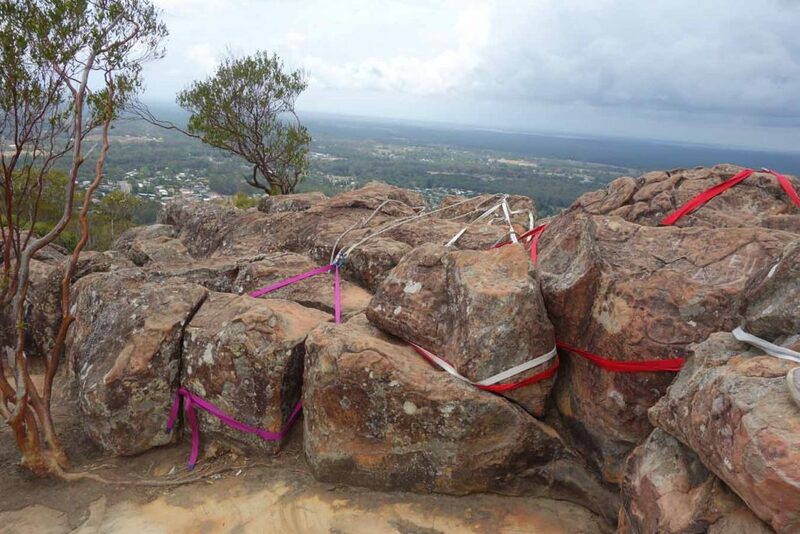 This area is also popular with local rock climbers and it is common to see climbers at a dedicated point half way up the trail as well as climbing near the summit. 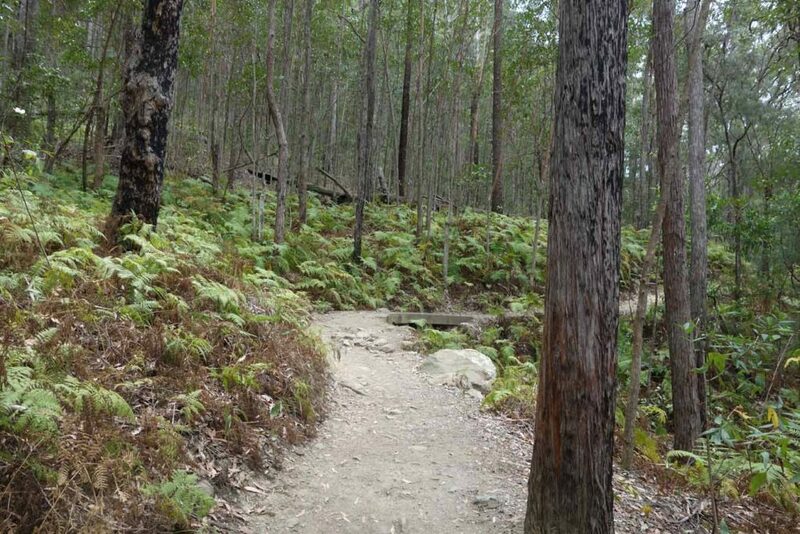 This trail is not long but it is difficult and is a class 4 hike due to the steepness and exposure in some sections. 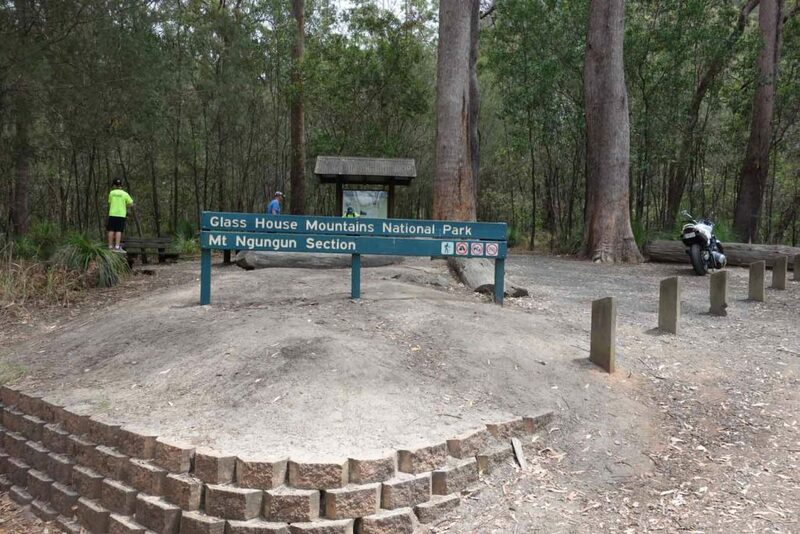 The trail up Mt Ngungun is about approximtely 3 km from the Glass House Mountains township with the start point at the trailhead on the Fullertons Road carpark where there is plenty of parking.